February 12-15, 2019 was marked as red letter days for Caraga State University as it celebrated its week long university days with a bang. The festivities began on February 12 thru Fashion Forward, followed by a parade, banner raising and Drum and Lyre Corps Exhibition on February 13. 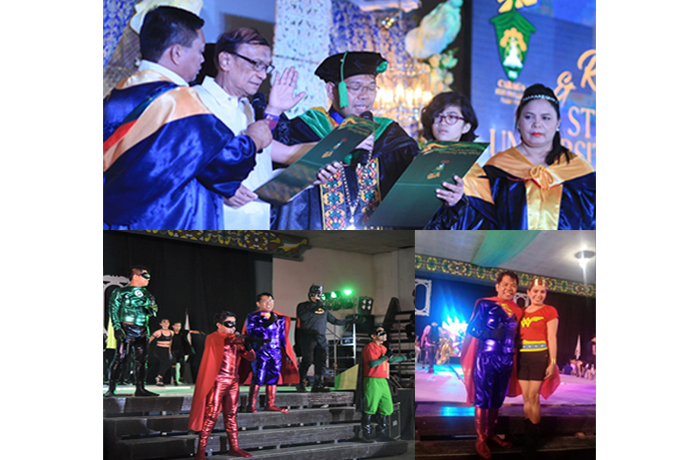 Two colleges were also launched, the College of Computing and Information System and the College of Engineering and Geo-Sciences, Ecumenical Thanksgiving Service, Celebration of Love and Life with the CSU retirees simultaneous with the games competition of the League of Campus Organization, Love Encounter with the trees, and Pasikatay of the students in the evening. February 14 is the Anniversary Convocation, Renewal of Oath of Dr. Anthony M. Penaso as Caraga State University President and his State of the University Address (SUnA). This was capped by the PRAISE Awarding Ceremony. This year, the CSU family came in their ASEAN inspired outfit and enjoyed the ambience of an ASEAN themed party. The event was attended by several entities from different government offices, colleges and universities, past CSU presidents, as well as by the other public and private sector. Highlight of the week long activities were the Music Festival dubbed as Hero Academia. All the faculty, staff and some students performed to the delight of the crowd. Everyone came in their super hero attire complete with make-up and accessories. CSU President Penaso, who formed the M4E singing group performed like professional singers in the Opening Number that was a hit to the crowd.